John Graham started his production career in the early 1990s, and has been a household name within the electronic music scene ever since. 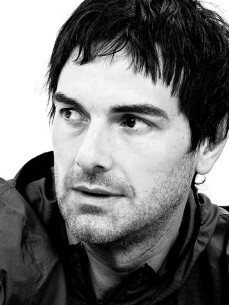 He is best known as Quivver, but has invented a host of other monikers, including Space Manoeuvres, Stoneproof, Skanna and Tilt, each representing a different shade of his eclectic production sound and each giving an idea of his true versatility. John has always gained consistent support for his many varied club releases from DJ giants and close friends such as Sasha, Tong, Oakenfold and Digweed, whilst also having his early Skanna efforts lapped up by drum & bass royalty including Fabio, Grooverider and Doc Scott. He is a multi talented DJ, producer and vocalist and after inking an early deal with A&M in the UK and being championed by Paul Oakenfold he joined Perfecto for several legendary releases and then onto Hooj Choons and Virgin's "VC" imprint. As a vocalist John has collaborated and written electrifying songs for the likes of Hybrid, Planet Funk and also Darren Emerson’s exciting new project ‘The Low Highs’. As a DJ, John has traveled the world and performed every conceivable hot spot from Glastonbury,UK to Pacha, Buenos Aires to Asia to his enviable residency at the notable Twilo, NYC to Avalon, L.A.